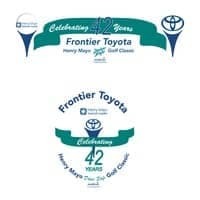 The 42nd Annual Frontier Toyota/Henry Mayo Newhall Hospital “Drive Safe” Golf Classic will be held on Saturday, May 9, 2015 at the beautiful Valencia Country Club. Last year over $335,000 was raised from the annual Frontier Toyota/Henry Mayo “Drive Safe” Golf Classic to support emergency and trauma services in our valley – a vital, life saving service for our residents. The tournament, its message, and its contribution to benefit emergency care are stronger because of the generosity of our sponsors. Our sponsors and players are the life blood of this event, and we honor them with recognition on the golf course, in the printed program and in our local media. We hope you will consider participating this year. Imagine the feeling of knowing you helped fund a crucial service that stands ready to provide trauma care – perhaps for someone you know and love. We look forward to your joining us for a great day of golf while supporting life saving services for those who live, work and travel in the Santa Clarita Valley. Please contact Laura Chesler at the Foundation offices at 661-200-1202 if we can provide more information or answer any questions you may have. 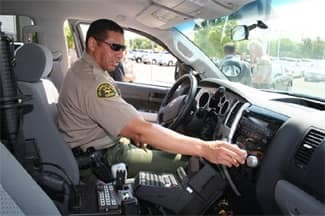 Posted: May 22, 2009 9:38 p.m.
For the first time since 1997, there were no teen names added to the list of students who died in vehicular collisions within the last year and Los Angeles County Sheriff’s Sergeant Tony Arnold hopes it stays that way. Arnold passed out white ribbons to a crowd of future Valencia High School graduates sporting their purple-and-gold caps and gowns for class pictures on Friday. The ribbons memorialize local students who have died in reckless crashes and are intended to remind students to drive safely. “You’re all going into a period where you’re going to be thinking about partying for summer. Do it responsibly,” said Arnold, as he addressed the bleacher-seated crowd. The White Ribbon Campaign began in 1997 in response to concerns over the large number of local teenagers who lost their lives in vehicular collisions as a result of someone driving recklessly or impaired. When students received the white ribbon, which they can pin to their graduation robes, it is attached to a card carrying the names of students who have lost their lives in vehicular collisions since 2004. The Class of 2003 White Ribbon Card listed 17 students killed since 1998. This year’s Class of 2009 card lists the names of eight teens killed since 2004: Evan Richard Ames, Melvin Ross M. Beleno, Gianina Maria Felix, Maribel Gonzalez-Diaz, Taylor LaKamp, Zach Legreid, Robert Leinbach III and Christopher Singer. “Some of those students went to the school you’re at today. They walked those same hallways,” Arnold said to the Valencia seniors. Arnold said it’s a time for students to celebrate completing 13 years of school, but with celebration comes the need to think responsibly. The list of deceased students hit home with student Steven Maldonado, 18. “It’s really important we’re aware of this. It’s a sad thing if they don’t get the chance to graduate,” said Maldonado, who is less than a week away from graduating with the rest of his class. Arnold explained three reasons why young adults “end their lives too early,” as he put it: speeding and racing; impaired driving, either because of alcohol, drugs, or sleepiness; and distractions such as cell-phone use, texting, dropping an item or passenger distractions. Arnold encouraged students who are feeling sleepy while driving, or who have had an alcoholic beverage, to call a parent or call Safe Rides. Safe Rides has provided more than 1,492 rides to teens in the valley during 2008. Michelle Estrada, 17, was one of the hundreds of Valencia seniors who pinned their white ribbons to their robes Friday. Jonathan Brutsche, 18, and his group of friends said the message hit them, but they weren’t so sure it impacted everyone. “Some kids just brush it off. Some high-school kids think they’re invincible until it happens to them,” said Brutsche, who go recently got in an accident after driving sleepy. Dr. Paul Priesz, Valencia High’s principal, said the White Ribbon Campaign is bringing awareness about safe driving to students. The White Ribbon Campaign is part of the Drive Safe Program, initiated by Frontier Toyota with the assistance of several community organizations including Henry Mayo Newhall Memorial Hospital, the Santa Clarita Valley Sheriff’s Station, Safe Rides, and the City of Santa Clarita. The Campaign will make its way to the West Ranch, Hart, Saugus, Canyon and Golden Valley schools before May 29. 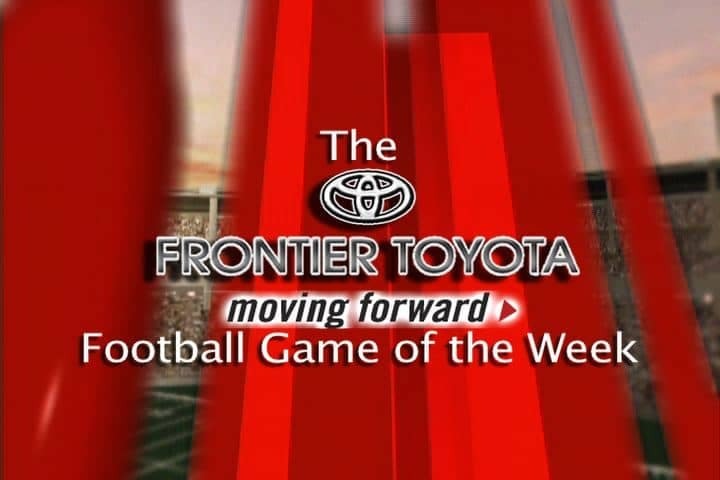 The event is sponsored by the city of Santa Clarita, Frontier Toyota, Henry Mayo Newhall Memorial Hospital, the Santa Clarita Valley Sheriff’s Department, Safe Rides, The Signal and the Blue Ribbon Task Force. The Santa Clarita Valley Safe Rides phone number is (661) 259-6330. The vast Santa Clarita Valley covers approximately 200-square miles of terrain, both in a planned suburban setting and the open space that the City works diligently to preserve. Patrolling this off road environment had been a daunting task for Santa Clarita deputies, as patrol cars are not equipped for all-terrain driving. 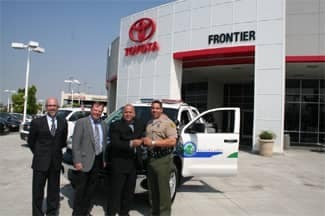 With the generous gift from Frontier Toyota of a new 2008 Toyota Tundra 4×4 truck, the Santa Clarita Valley Sheriff’s Station has a new resource to help keep the community safe. 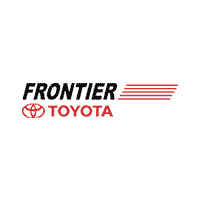 Supporting the Sheriff’s Department and its Deputies is not new for Frontier Toyota and its owner, Joe Caso. This is the second donation of a Tundra truck made by the local dealership. The first vehicle continues to assist the station’s traffic unit with accident investigation and DUI checkpoints. The new vehicle is a fully operational Sheriff’s vehicle with standard patrol features such as an emergency light system and siren. 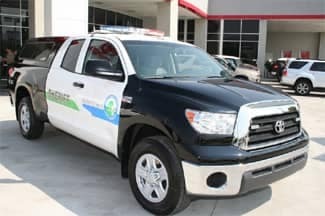 It’s radio and mobile digital computer makes this truck a first of a kind for the Los Angeles Sheriff’s Department. Speeding motorists should be aware, that although this truck might look like an off-road vehicle, it will be patrolling our City streets looking for violators. Press inquiries regarding this article should call (661) 255-4990. The pride of Santa Clarita Sheriff’s fleet. 2008 Toyota Tundra 4×4, fully-equipped and ready for duty. 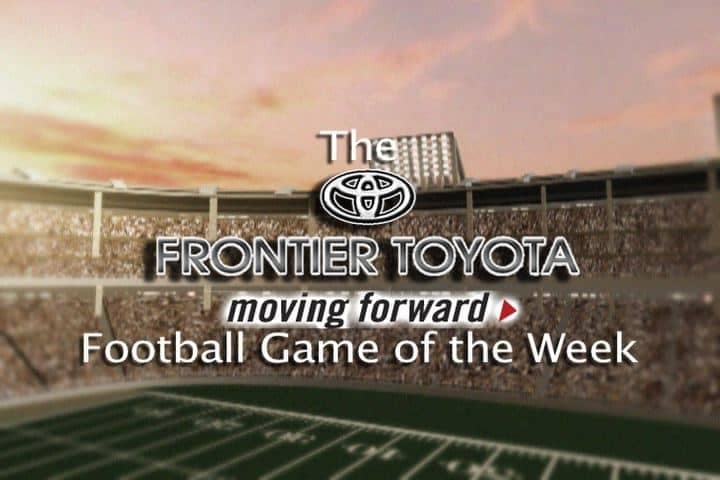 We sponsor the SCV High School Football Game of the Week each season.